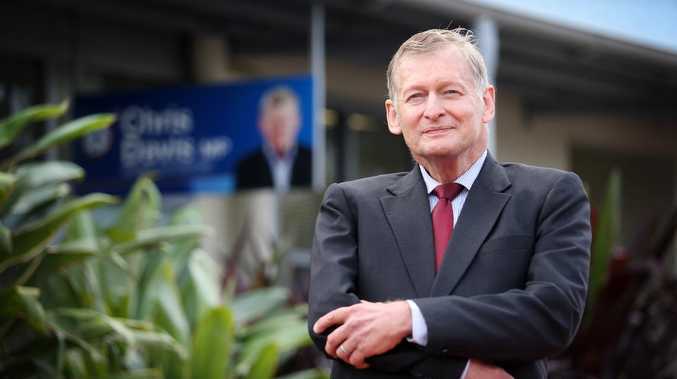 QUEENSLAND Health has been ordered to pay more than $1.4 million in compensation to former state LNP politician Chris Davis after a tribunal found he was discriminated against. Dr Davis took the Metro North Hospital and Health Service to the Queensland Civil and Administrative Tribunal, claiming discrimination, after he missed out on a job as a geriatrician at the Royal Brisbane and Women's Hospital in August 2014. He was the sole applicant for the position after the only other person who applied, who was not a geriatrician, was ruled to be unqualified. Dr Davis's knockback for the position followed his sacking by then premier Campbell Newman as assistant health minister in May 2014 for speaking out against government policies, and subsequent resignation from Parliament. In a 48-page judgment, QCAT senior member Clare Endicott said she was satisfied that Metro North Health had contravened the Anti-Discrimination Act in relation to Dr Davis. She ordered the hospital and health service to pay him $1.45 million within 30 days. "I find that the unlawful discriminatory conduct which ceased the recruitment process, and which prevented Dr Davis from being appointed to the senior medical officer position, caused Dr Davis loss and damage," Ms Endicott wrote. "Dr Davis has been changed … from a confident, highly achieving medical professional capable of taking responsibility for the management and direction of an entire department of a major public hospital to an anxious, despondent, socially isolated person who demonstrates a lack of purpose, self-worth and drive. "The tribunal finds that this deleterious impact has been long-lasting… and ongoing." Comment was sought from the Metro North Hospital and Health Service. While acknowledging the work and expertise of the tribunal in making its decision, Dr Davis said it would be inappropriate for him to comment in detail "as the matter is open to possible appeal". But he said: "Getting this outcome has not been easy, being up against opponents who are extremely well-resourced by government and told me I couldn't win. The message is you can." In a statement, the Metro North Hospital and Health Service said it was carefully considering the QCAT decision and seeking further legal advice. "As an equal-opportunity employer, our selection processes and employment decisions are undertaken in a non-discriminatory way," it said.